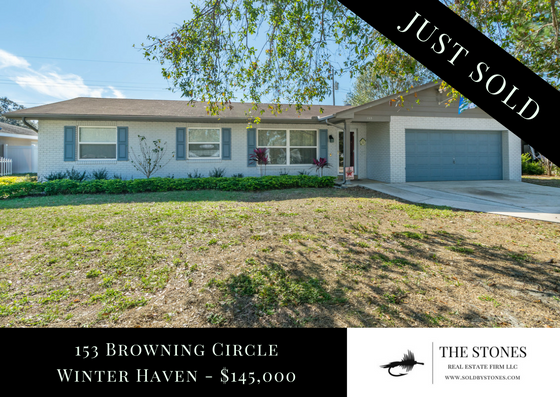 JUST SOLD – THE STONES REAL ESTATE FIRM – Property Address: 153 Browning Circle in Winter Haven, FL 33884. Michael Stone & Deanna Stone represented the seller in the sale of this Garden Grove pool home. Multiple offers were received and the home sold over the asking price. The home had 3 bedrooms, 2 bathrooms, 1144 sqft of living area, 2 car garage and a swimming pool. Home sold for $145,000.